Michael Wilshaw- sorry Iâ€™m not your Dad.Â I am a secondary school teacher in an inner-city London school. Overall, I love my job. I love the challenge, the creativity and I am passionate about education. Iâ€™m also pretty damn good at it. However, as I came home tonight (carrying a class set of 30 books that will take at least 4 hours out of Sunday) and switched on my computer, I was insulted by the very person who is supposed to be â€˜improvingâ€™ our education system. 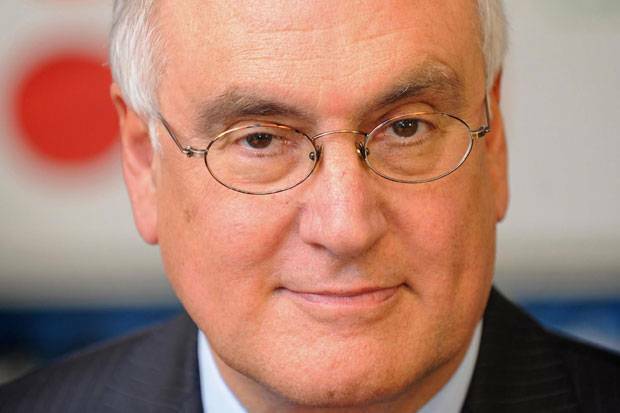 Chief Inspector of OFSTED, Sir Michael Wilshaw, has come out with yet another inflammatory remark against us teachers; the pillars of our education system. Is this supposed to be motivational? He claims that we donâ€™t understand stress. He claims that we need to be unemployed or juggling 5 anti-social jobs to pull enough money together for a loaf of bread, in order to understand stress. And Gove says this man is supposed to be a â€˜visionaryâ€™!? Iâ€™m fed up of this Tory-boy rhetoric that hails poverty, suffering and misery as some kind of benchmark from which our ingratitude can be calculated. I am sure that social commentator, Charles Dickens, did not expect the characters of â€˜Oliver Twistâ€™ and humble blacksmith â€˜Joe Gargeryâ€™ to become blueprints for modern living. My interpretation (and I am an English Teacher!) has always been that he would expect readers to critique the very system that engenders such disparity of existence; not to feel perpetually grateful that theyâ€™re not Oliver! Yes- I am able to afford to go on holiday, yes-I do not starve on a regular basis and I do get a small amount of time to spend with my family. I am, however, inclined to acknowledge these as my rights and, as such, refuse to flatter my benevolent masters with thanks; especially considering that I am unlikely be able to afford such privileges as â€˜owning my own homeâ€™ (privileges guaranteed to the privately-educated elite who sit in offices thinking up legislation that drastically increases my workload). Sir Michael, and those who share his ideology, relate to teachers as a feudal master relates to his serf. Everything we create deserves to be passed upwards for inspection and, the more pressure that is applied to us, the more we are expected to produce. In addition, we are effectively indentured. Many corrupt headteachers (including one for whom I have worked) withhold, or smear, references in order to retain staff. Such practice goes unchallenged by the DFE and even the teaching unions. (What are they supposed to do when privatisation has allowed our state education system to be run by a handful of bosses?) Is this the â€˜progressâ€™ and â€˜freedomâ€™ that our current economic system encourages? Something akin to feudalism? We are not servants. We are supposed to be allowed autonomy, creativity and growth. Why, then, are we being constantly reminded that we are â€˜luckyâ€™ if we can expect the bare minimum? And everyone seems to feel entitled to a say on what we do. Following Wilshawâ€™s logic through, teachers are the modern equivalent of Guy Fawkes, and the fireâ€™s being stoked by a load of angry Oliver Twists. I, obviously, take offense at the archaic notion that teachers have an easy ride. This is, so clearly, a cheap branch of rhetoric designed to undermine a well-unionised profession. More offensive, however, is the idea that we are indulgent and lazy because we are not living in destitution. The Coalition Government are expecting us to buy into this ridiculous narrative. Whatâ€™s the easiest way of doing this? demonize the easily-resented; teachers- with their inconvenient holidays and their â€˜short working dayâ€™ (aka 60 hour working weeks, when cutting corners). Divide and rule. Create martyrs (Wilshawâ€™s Dad). Prevent autonomy…. Come on! Do we really need to point out whatâ€™s going on here? Itâ€™s so painfully transparent. Times are challenging for many, many people and it serves our leaders well to vilify teachers. If Michael Wishaw can deem more teachers unsatisfactory, and Michael Gove can introduce performance-related pay through his new national standards, experienced (and therefore expensive) teachers can be demoted to save money. Again, so obvious. You may agree that teachers pay should not go â€˜unchallengedâ€™. Everyone remembers a teacher that made their life hell. Nobody supports a deliberately â€˜badâ€™ teacher (of which there are very few). What is crazy, however, is that anyone would trust Wilshaw and the academy bosses to be making these decisions, when they are the same people who are responsible for exam cheating in the name of profit. If you want to ensure that the public purse is accountable, turn your attention to a school in south London where at least two members of staff are currently being paid their full salary to stay at home. Why? Because they dared to question the regime of their academy boss. A regime which expects you to work saturday mornings for no extra pay, and a head who actually told their staff â€˜not to enjoy their christmasâ€™ because OFSTED was looming. Join the pieces together. If we allow this ideology to prevail, weâ€™re giving power to all of the wrong people. Our expectations are humble; not indulgent.